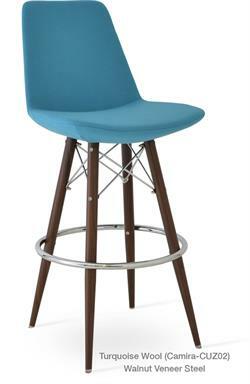 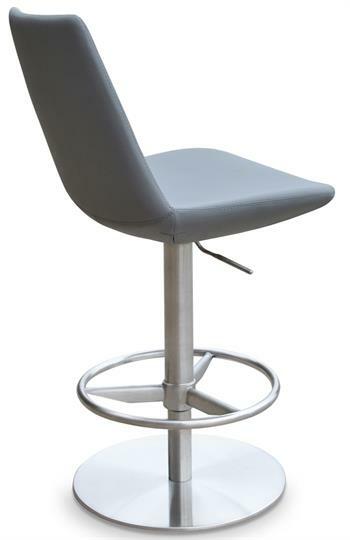 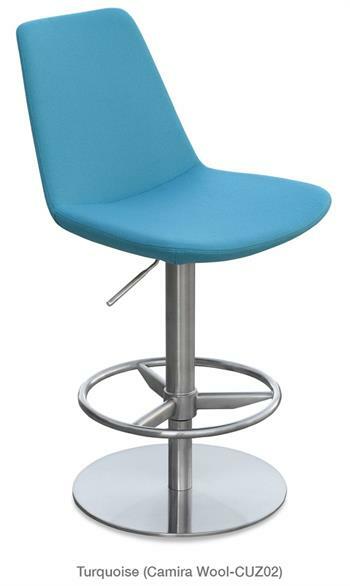 Eiffel Piston Stool by Soho Concept is a unique stool with a comfortable upholstered seat and backrest on an adjustable gas piston base which swivels and also adjusts easily from counter stool height to barstool height with a lever that activates the gas piston mechanism. 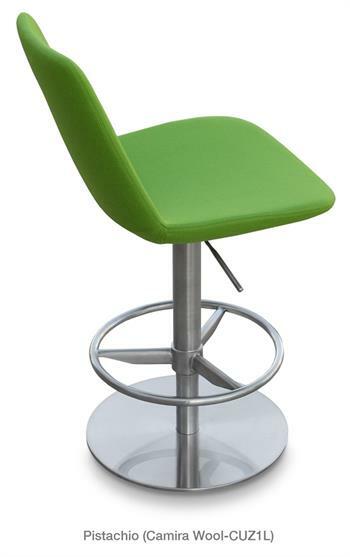 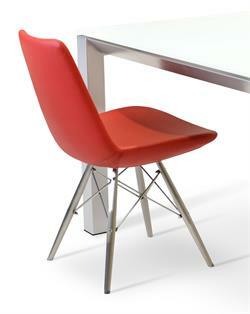 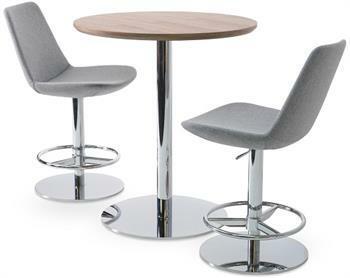 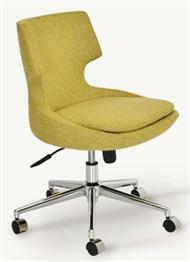 Solid steel round base in chrome and seat has a steel structure with S shape springs for extra flexibility and strength. 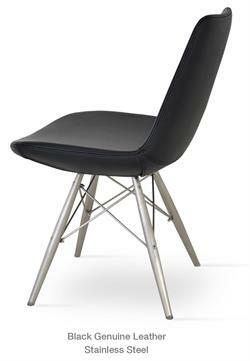 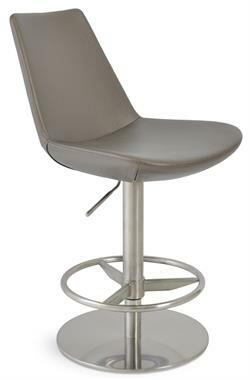 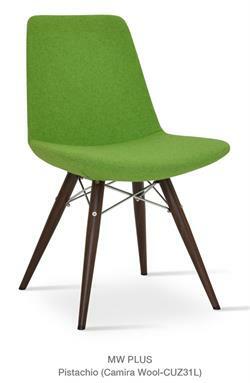 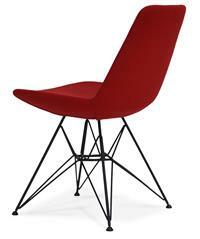 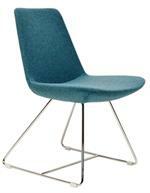 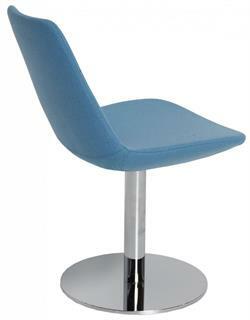 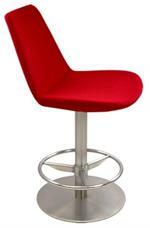 Eiffel Piston Stool seat is upholstered with a removable velcro enclosed leather, PPM or wool fabric slip cover. 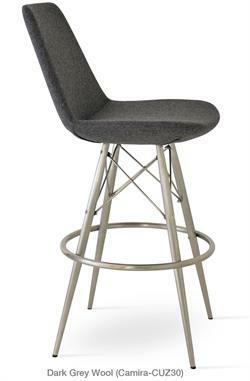 The Eiffel Piston Stool by Soho Concept is suitable for both residential and commercial use as a home counter stool or barstool or as a restaurant barstool or hospitality barstool. 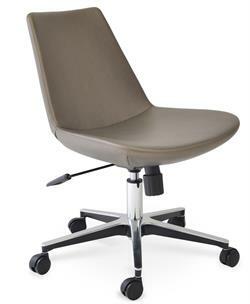 H 37-46" W 18" D 23" Seat H 23"-32"